Find activities you love...Yoga, Pilates, HIIT, Weight-lifting, Cross Fit and much more. Just check-in at the gym's reception and enter as a regular member. 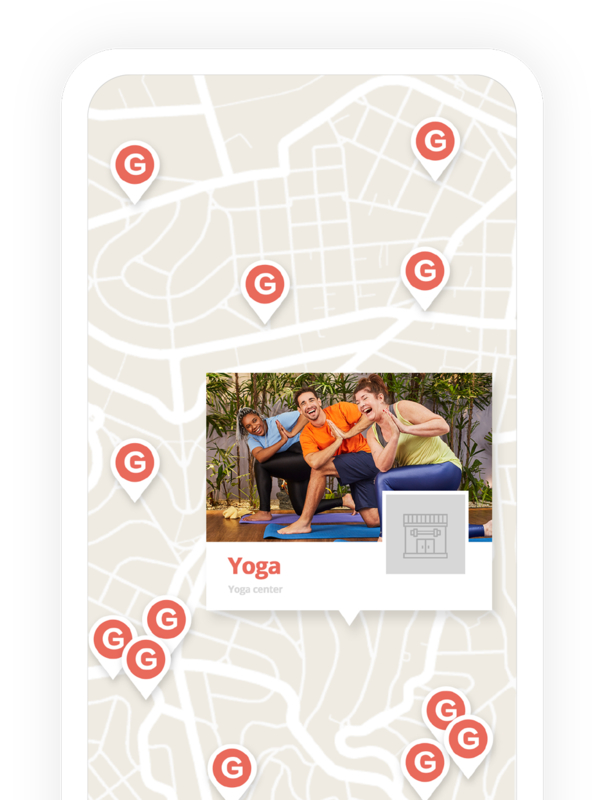 Find gyms and studios close to home, work or wherever you may be. Choose a new (or the same) gym every day. Want to become a Gym partner? Your company doesn't offer Gympass Corporate? Want to improve Corporate Wellness engagement? Great for people who want to start exercising and try new activities! I'm a huge fan!" Find activities everywhere, including near your home and work.